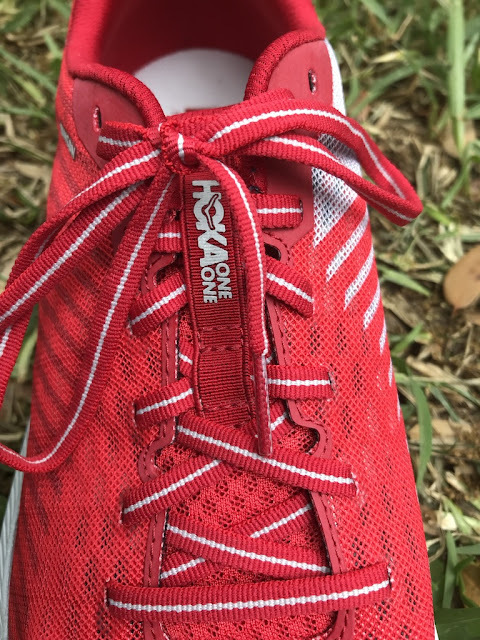 Road Trail Run: Hoka ONE ONE Rincon Initial Thoughts Review. Love at First Flight! Hoka ONE ONE Rincon Initial Thoughts Review. Love at First Flight! 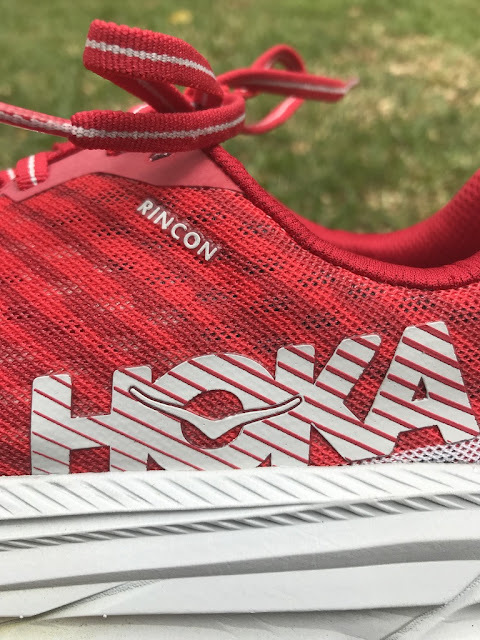 The Hoka One One Rincon have come along at a perfect time for me. Due to a recent foot injury (plantar plate tear=ouch), I have been instructed to wear shoes with little to no flex in them. The logical result of that prescription is that I have been running in various Hoka models over the past couple of months as they are the only shoes (except for the skechers Razor 3) that don't seem to hurt my feet. That said, I've been frustrated with the Hokas I've been running in. I'm on the lighter side of things (around 145) and while my feet don't hurt when I run in the Bondi I also don't really enjoy running when I run in the Bondi. It's a lot of shoe and it feels like a chore for me to push them (especially after 10 or so miles or up hills). I picked up some Cliftons (Clifton 5) which were better, but still left me feeling kind of uninspired. While the Cliftons are a lighter than the Bondi, they still don't thrill me. I figured that I'd run in Cliftons until healed and then ditch them. with the Rincon. This is an initial thoughts review, so I'm only 2 runs into the Rincon, but so far so good. 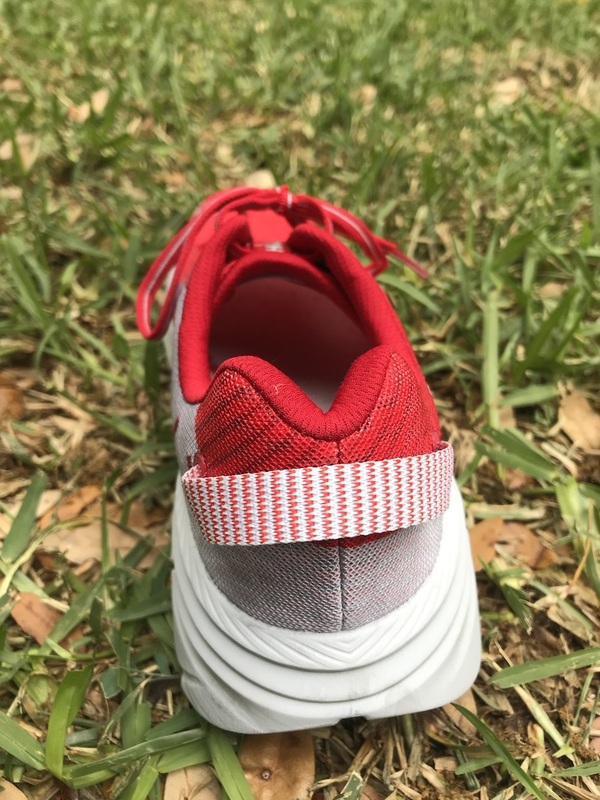 A great, engineered mesh upper that holds the foot really well, is ultra breathable and has no hot spots or blister issues. Toe box is roomy without being ridiculous. There's a great big tab on the back for putting them on or even hanging them from a carabiner on your bag. Lacing is simple and direct. These are going to be a great summer shoe. According to Hoka this is a more dense and slightly firmer midsole. It feels great. There's a really good amount of cushion (it actually feels pretty soft--in a good way) and plenty of energy return. For me they're a little softer than the Clifton 5 but also return more energy. This is the only potential trouble spot on the Rincon so far. There are sections of blown rubber and a lot of exposed outsole. I'm not so worried about the exposed material as I expect that to show wear, but after only about 14 miles there's some wear on the blown rubber that seems like a potential problem. I'll keep an eye on it, but there's a little more wear than I'd like to see early on. Oh. So. Smooth. The Rincon is in a really sweet spot for me. It's soft without being mushy, protective without being clunky and light without being insubstantial. 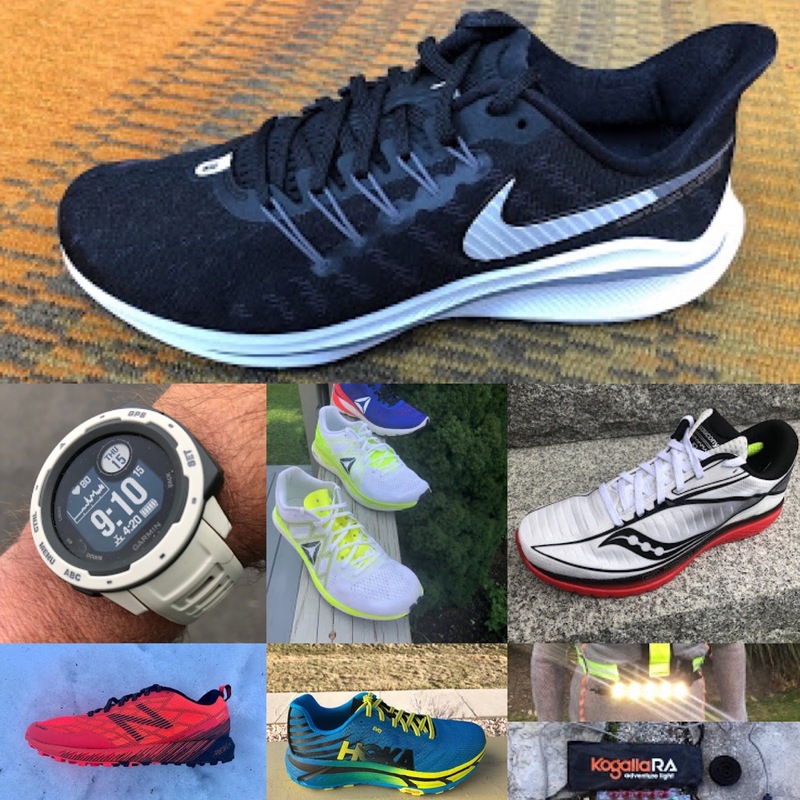 It feels really good at any speed and I'd easily use it for long runs, a daily trainer and tempo days. The only thing I'm not sure about is real speed. 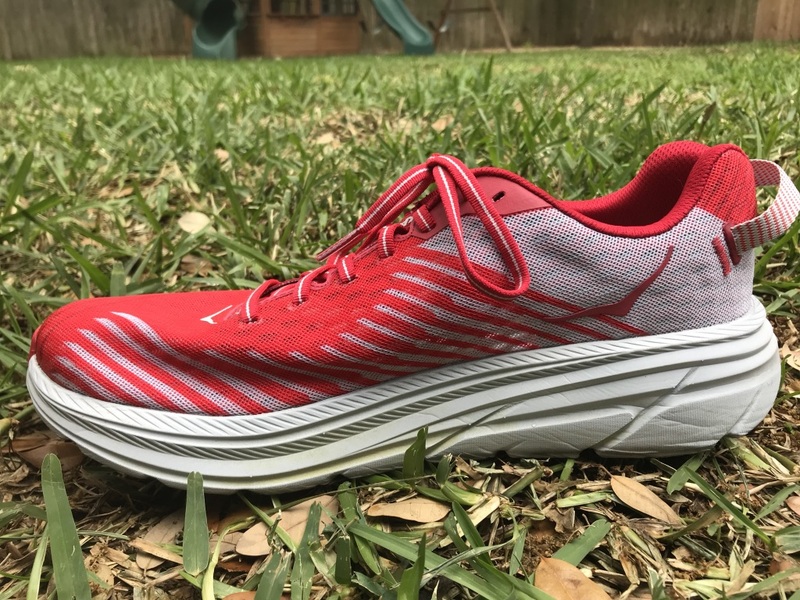 I haven't tried a true speed workout in them yet, but they may be just a tiny bit soft to be able to get turnover as high as you might with a firmer shoe. I'll report back after some more runs. Conclusion: By far my favorite Hoka to date, this will be a great shoe for lots of different runners. I'm eager to put it back to back against the Skechers Razor 3 and a couple of other shoes for comparison. It's a great ride with a very comfortable upper and looks terrific too. After one seven mile run in the Hoka One One Rincon, I'm more impressed with this shoe than just about anything else I've put on my feet in the last twelve months. 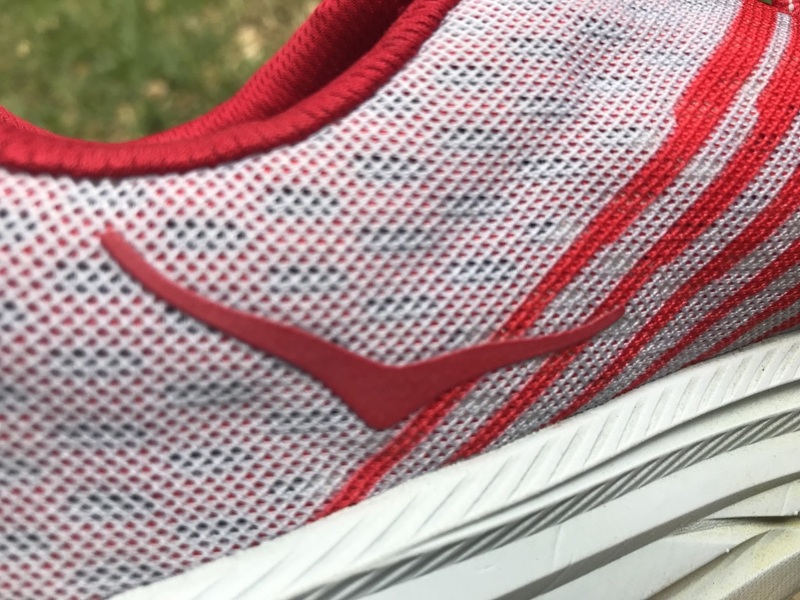 It feels like the midsole is the absolute perfect level of fast cushioning. My feet don't feel like I ran anything at all, and since today was supposed to be an easy run I spent most of the time trying to slow things down. The shoe doesn't quite have the same spring feeling the Vaporfly does, but the closest comparison would be the Skechers Razor 3 Hyper - only more cushioned, and a little faster turnover. I'm always skeptical of Hoka toe boxes, even with their recent Challenger 5 and Stinson 5 releases that brought forward human foot shaped shoes. The Rincon isn't massive up front, but it is big enough, and the upper is stretchy enough to give that little bit more. Early in today's run I thought the Rincon would likely be a great half marathon shoe, but not much more, but now I think it could be an ideal marathon shoe. I'm looking forward to running more in this shoe, and getting a better feel for it. 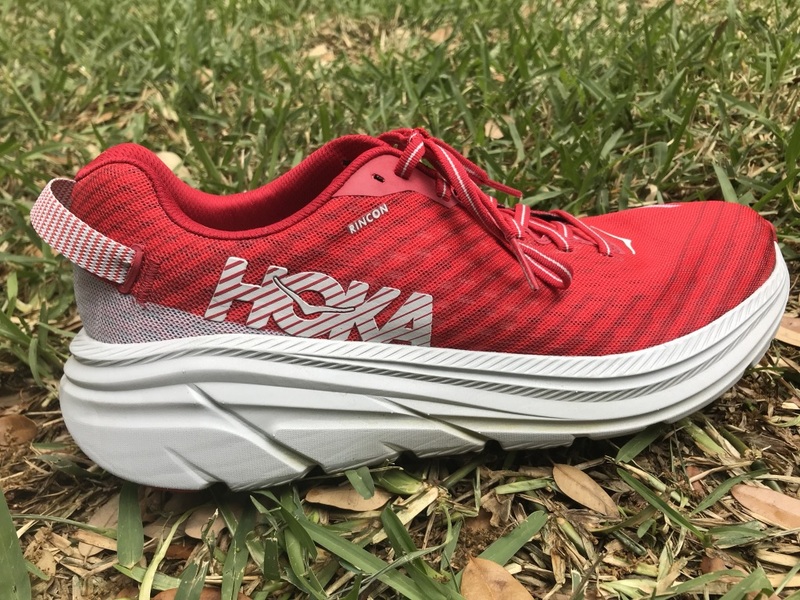 We'll see how it holds up to speed work and a couple long runs, but my initial take away is that Hoka has an absolute monster on it hands. I know there are a lot of Clifton, or early version of the Clifton, comparisons, but I don't see that at all. 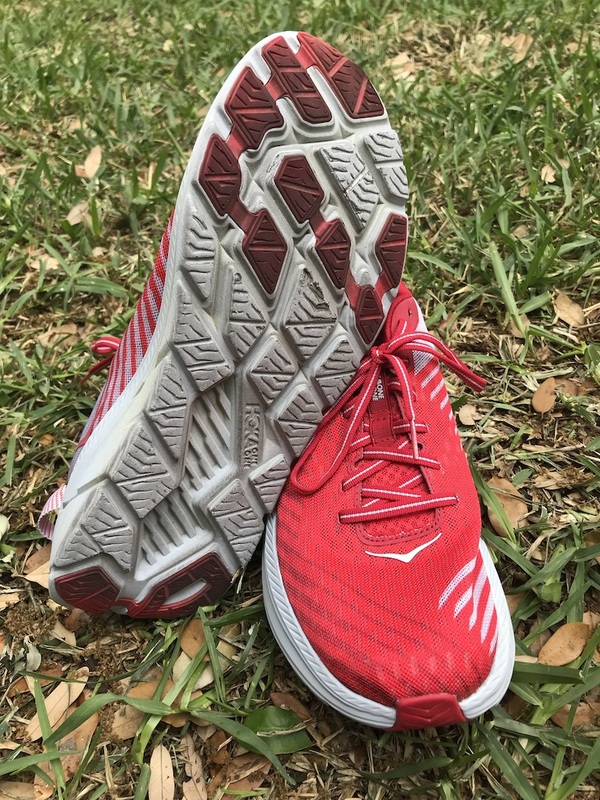 I ran in the first Clifton at release, and was largely underwhelmed by an oddly fitting shoe that was very lightweight with a nice plush cushioning, but it didn't result in a great running shoe for me. The Rincon isn't nearly as soft, and the shape of the sole makes this an ideal uptempo daily trainer. There is a lot of exposed midsole instead of outsole, and it will be interesting to see how it hold up. 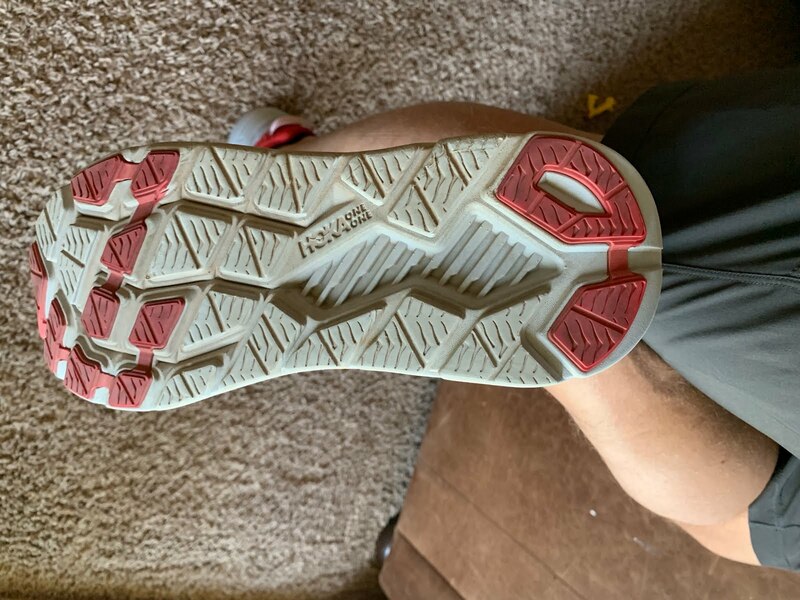 Seven miles in and there's already noticeable wear in multiple places, but it could be similar to the Epic React where the first 25 miles had lots of wear, and then it slowed down after that. Not a concern yet, just something to keep in mind. How would you compare the Rincon to the Hoka Napali and the New Balance Beacon? I would imagine that the Beacon 2 should be coming out sometime in the next few months too. Thanks! I know this is an initial review, but what is the expected lifespan of the shoe, heard it's vaporfly-esque only lasting a 150 miles or so? I've been waiting for these, but also looking at the Mach 2's. Any comparisons you can draw there? We need to put some miles on them. My original VF ice blue still going strong at 140 miles. Still early but yes we will be comparing to Mach 2. We plan on comparing to Napali, Clifton, and Beacon among others in our full review. HI! I noticed on your site and others that Running Warehouse no longer offers the 10% discount. Is this a new policy of theirs, and can we expect no more discounts from Running Warehouse? Just wondering if you have heard anything in this regard. Thanks! Our discount code as found on the right side bar works. As always not for every product or brand. Please do not distribute the code as that is what causes it to be canceled or changed. Thanks Sam, I see it now. Rincon, true to size? Thanks! These look very promising. It’s good to see Hoka continuing to introduce new, innovative models. 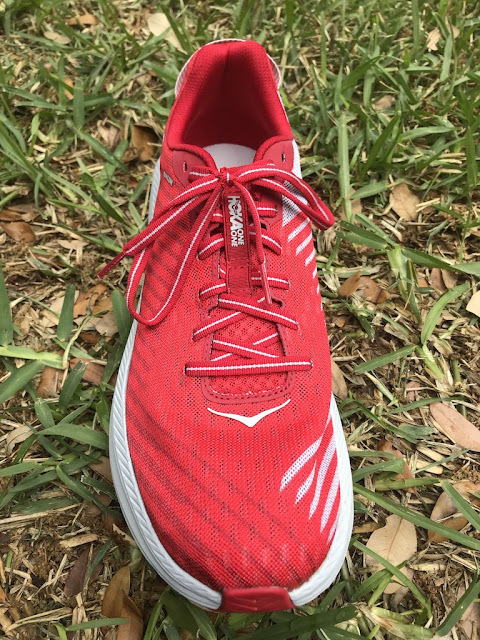 After having not run in Hoka’s since 2017, I recently purchased the EVO Mafate’s and ATR 5’s and have been supremely satisfied with both. 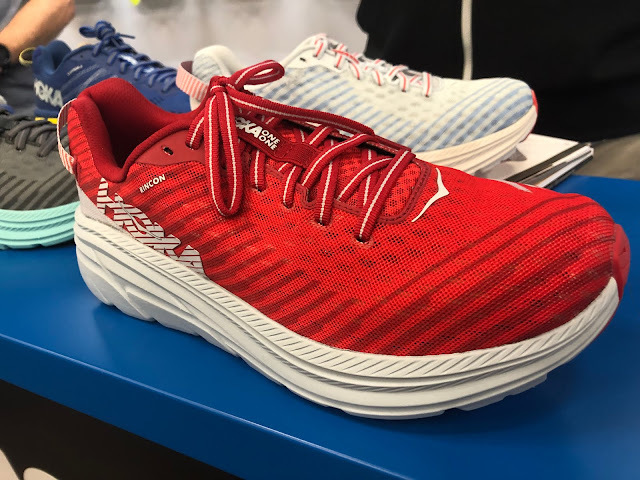 Also, I’d like to see the Go Run 7 and Altra Duo comparisons if possible though I understand there’s only so many shoes you can comp. Love seeing all the new reviews. RTR’s frequent and quality content are unmatched in the shoe review game. Keep up the great work! So excited about this one. Could be my ideal marathon race shoe. Hopefully it has a decent responsive ride to it. Thanks for your kind words. The team will keep at it! 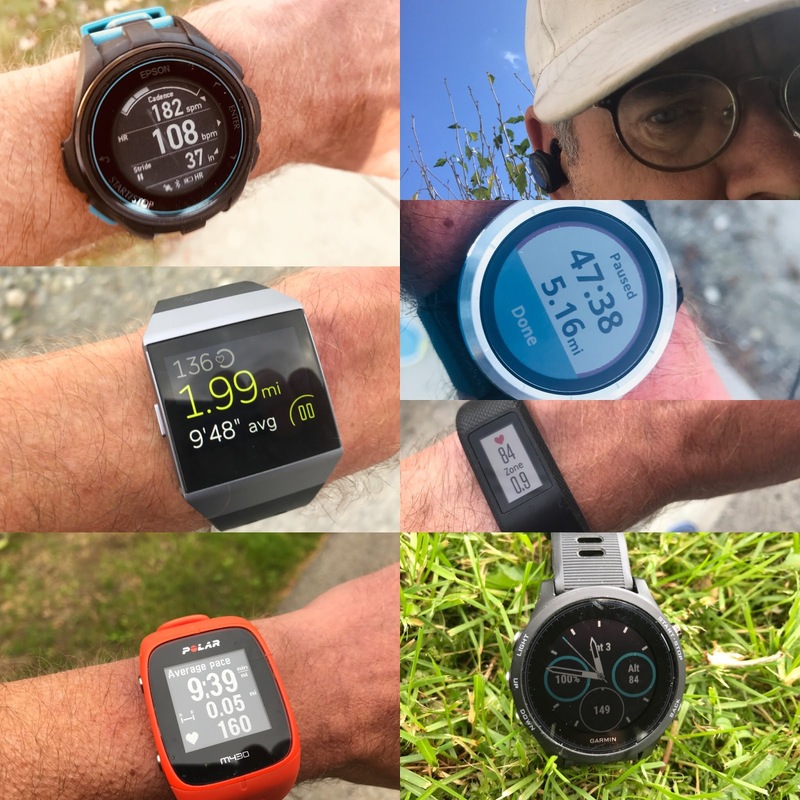 So many great options for runners. We will be sure to try to compare GR7 and Duo among others as we continue testing. We will confirm sizing in our full review by comparing to others the testers have worn. How would you compare this to the EVO Carbon Rocket? Would love to hear how these do on some buffed out trails. I love my OG Clayton for dry trails and these look to be a nice upgrade (never did try the Mach). We'll try for sure. I still have a pair. One thing is for sure the Rincon upper is way more unstructured than Huaka's and minimal so doubt it will be trail worthy as Huaka was. See my comment to Emre. The upper is pretty unstructured and thin for trails, at least it would be for me but will try. Carbon Rocket is firmer due to the plate, has essentially the same upper material but with a stretch bootie which Rincon lacks and could use. Early in testing but I prefer the support of the Rocket and its more decisive snap. This said as in our review which you will find below the Rocket could use some more drop as Rincon has. Despite feeling firm it has plenty of cushion.